The problem of evil in the world has always been the reason why many people doubt the existence of God. Whenever tragedy strikes, people through the ages have asked why something like this or that have to happen. 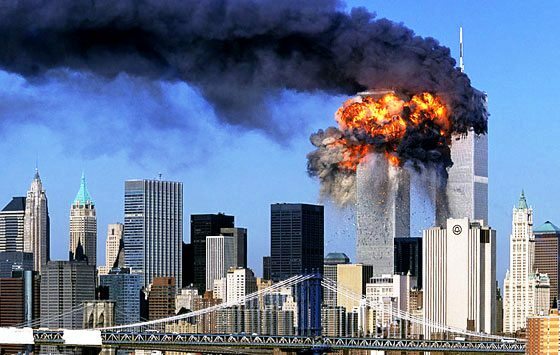 Just think about the pain the friends and relatives of the almost three thousand people who were killed in the terrorist attacks in New York and Washington on September 11, 2001, have wrestled with. If God exists, why did He allow this tragedy to happen? Why do good people suffer? And what does it say about God that such things occur? This is not to say that evil is unreal. Evil may not be an actual substance or entity but it is a real corruption in an actual entity. Tooth decay, rotting trees, brain cancer, the death of a loved one, are all examples of how evil is a corruption of something good. Yes, evil is real; it’s not just an illusion. The infinite reference point for distinguishing good from evil can be found only in the person of God, for God alone can exhaust the definition of absolutely good. God is good, God is all powerful, yet evil exists. How can evil exist in a world created by God? Today we face the reality of both moral evil and natural evil. Moral evil is evil committed by free moral agents, involving such things as war, cruelty, crime, slavery, discrimination, suicide bombings and various injustices. Natural evil involve such things as hurricanes, earthquakes, floods and the like. The original creation was “very good (Genesis 1:31).” There was no evil, no sin, no pain and no death. Yet today the world is permeated with evil, sin, pain and death. What brought these things about? 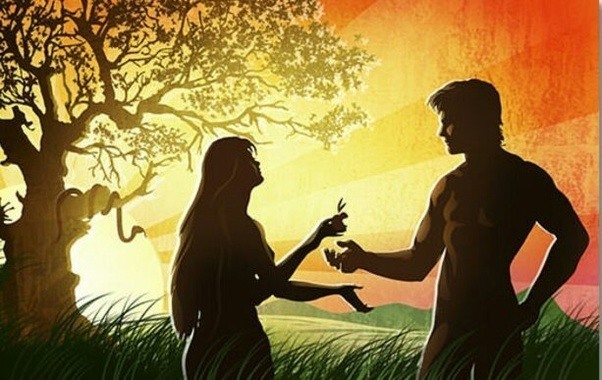 The Bible tells us that it all started the moment Adam and Eve used their God-given free will to choose to disobey God (Genesis 3). Couldn’t have God created humans in such a way that we would never sin, thus avoiding evil together? The fact is, such a scenario would mean that we were not truly human because we would not have the capacity to make choices and to freely love. Love is voluntary. God could have made us like robots who would act only in programmed ways – like a chatty doll whose string you pull and it says, “I love you.” God apparently thought it worth the risk of creating us as we are. God’s plan had the potential for evil when He bestowed on humans the freedom of choice, but the actual origin of evil came as a result of a man who directed his will away from God and toward his own selfish desires. And ever since Adam and Eve made evil actual on that first occasion in the Garden of Eden, a sin nature has been passed on to every man and human (Romans 5:12; 1 Corinthians 15:22), and it is out of the sin nature that we continue today to use our free will to make evil actual (Mark 7:20-23). What is God’s Purpose in Allowing Evil? If God is so good and all-powerful why does He allow evil to happen? Made in God’s image, man was given the freedom to decide how he will act and the ability to make moral choices. Every one of us is capable of making selfish, self-centered and even evil choices. God could have eliminated all evil from our world by simply removing our ability to choose. But if God is to both preserve freedom and defeat evil, the best way to do it is to allow each person to make his own free choice to determine his destiny. And evil is overcome in that, once those who reject God are separated from others, the decisions of all are made permanent. Man sinned against God but God has not left us alone in this fallen world. God allowed evil and suffering in the world to bring His Son to the cross so that we might have the opportunity to obtain eternal life. God is working within the fallen world today to effect change and He uses fallen people to accomplish His will. It’s also possible that God is letting evil occur so that on the day of judgment, the condemned will have no right to say that their sentence is unjust. God is not stopping people from exercising their free will. God may have other reasons for allowing evil to exist that we simply cannot understand. But as Christians, we must have confidence in God knowing that His ways are above our ways (Isaiah 55:8-9). Yes, evil will one day be done away with. Just because evil is not destroyed right now does not mean it will never be. One day in the future, Christ will return, strip away power from the wicked and hold all men and women accountable for the things they did during their time on earth (Matthew 25:31-46; Revelation 20:11-15). Justice will ultimately prevail and those who enter eternity without having trusted in Christ for salvation will understand just how effectively God has dealt with the problem of evil in the world. Why does God allow evil to exist? Good question, says Geisler. Addressing metaphysical, moral, and physical complexities, he surveys evil’s nature, origin, persistence, and purpose; offers a biblical discussion of why a loving God allows some people to experience hell; and shares personal stories of believers who found real-life solutions to the conundrum of pain and suffering. 176 pages, softcover from Bethany. Hi Alice, I became a believer April 26th, 2010. I was 53 at the time. I am now 61. It is so nice to read or listen to someone who takes God, Jesus, the Holy Spirit, and their bible study seriously. You do, I can tell. I have read some of both Norman Geisler and C.S. Lewis. Good stuff. It is interesting about Lewis, he used to be an atheist. He came to the conclusion that if there is evil in the world, then there has to be good. I love Lewis’ books, “Mere Christianity and Screwtape Letters”. Your post about Christian Doctrine is solid and to the point. I agree. I also enjoyed reading about the Systemic Theology. It hits every angle of bible study. I agree most Christians just want the “Good news,” not the “Bad news”. It makes sense that before the solution there had to be a problem. Sin and death need forgiveness and restoration of the Spiri; we’re lost. What is sad though, a lot of Christians today are lazy when it comes to studying God’s word. I think your website gives people who want to go to the deep water with God a good starting point. Hey Johnny, thanks for stopping by, and thank you for your words of encouragement. I admit I still have a lot to learn about biblical truths and I hope to continue sharing through this website, by the grace, provision and guidance of our Lord. One of the things that amazes me about these great Christian apologists is the fact that they used to be atheists. But when they came to know the Lord, they have become strong and effective defenders of the Christian faith. While placing your faith in the Lord Jesus Christ is what is needed to be saved, I think we need to be more equipped to answer the frequently asked questions about God and the Bible, which includes the existence of evil. People ask this question every time a tragedy strikes. Why do good people, believers in Jesus for that matter, suffer? Let us be reminded that Job was considered upright in the sight of God, yet he has gone through very difficult trial, with God’s permission. So no matter how bad things go, we always have to be reminded that at the end of all these, we win because God wins. God has given us freedom to choose. He can’t control us like robots and we are free to choose the good or the evil. 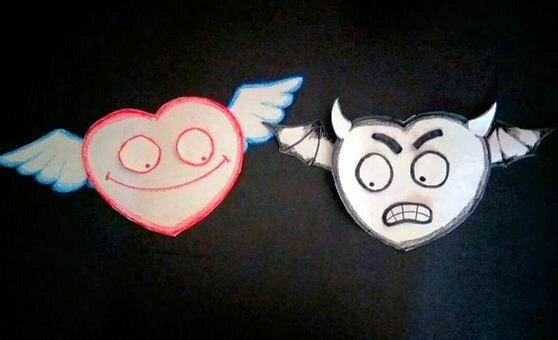 Most of the time we choose evil instead of good but God can’t leave us due to His love. His Son’s death is the proof that He loves us. I had this question too, Julienne, before I came to understand about man’s freewill. In the same way that Adam and Eve had the freedom to obey or disobey God in the Garden of Eden, we have freedom too. Although God has instilled in each of us moral consciousness, we can choose to exercise it or not. This goes the same with God’s offer of salvation; it’s free but we can still choose to accept it or nor. This is a very profound viewpoint, that evil does not exist on its own. And that it exists because of the free will bestowed upon us. Thank you for this. Your article has given me lots to ponder about. Hello Joo, thanks for your comment. Yes, evil exists as a perversion of good and also as a result of man’s choice. So if we want change, it should start from within. However, this change is only possible if we let God work in us and through us. We may blame God all we want for all the evil things that are happening in the world but it will never change the fact that everything God created was good, because being “good” is part of His character, which will never change. The good news is, all these are just temporary. At the end of the day, evil will be done away with and all creation will be restored to its original state. I love your website. As a believer I often struggle with why bad things happen. The last year of my life has been a roller coaster. I do believe because of this , I have never had a closer relationship with God, until now. Struggles bring us closer to him. He wants us to totally rely on him in times of need! Im grateful for he brought me to your website. God Bless! We all go through tough times at some point and it’s just normal to wonder why we have to experience these. Often times we do not understand why things are happening the way they are especially if we believe we are living in complete submission and obedience to our Lord. 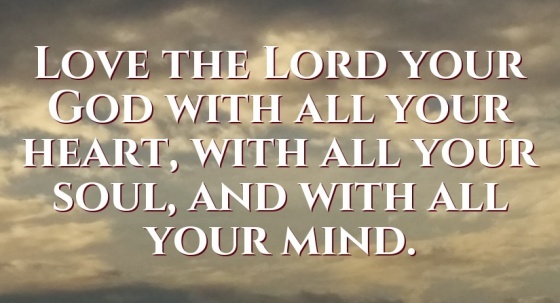 But at the end of the day, God always has our best interests at heart. And yes, having to go through some difficulties and trials will lead us closer to God because we learn to cling to Him even more especially when things aren’t going the way we want them to be. God is good all the time! I am not religious, but I was brought up a catholic so I do know about a lot of the bible teachings. I know there is evil in the world but I truly believe we will evolve past it and at some point become awakened and enlightened human beings just like Jesus was, along with many other enlightened teachers who have lived. They all have the same message but sometimes put in a different context. God, Mother Nature, The universe, or whatever label a person wants to give it is just a term for ‘pure consciousness’, and when you feel the pure consciousness of God inside you, you cannot notice the unconsciousness that we call evil in the world. I am more spiritual these days as you can see, as my catholic upbringing was rather repressive and so I turned away from it, but I’m not saying all religion is repressive. I am well aware that people differ in viewpoints when it comes to the reality of evil in the world. There are some who think that evil is the darkness inside of you, some say evil is just an illusion and still others say evil is proof that God does not exist. But no matter what we all think or believe, the problem of evil in the world is so real. I agree with you in part when you said that if we feel the consciousness of God in our heart and see everything through the eyes of love (God) then we cannot notice the existence of evil in the world; that if we will let love rule in our hearts and obey God’s two greatest commandments to love God with all our heart, with all our soul, with all our mind and with all our strength and to love our neighbors the way we love our self (Mark 12:28-31), the world will be a better place. However, the Bible says that the world is being ruled by the enemy of God (John 12:31; John 14:30; 2 Corinthians 4:4) since that day in the garden of Eden when Adam and Eve chose to willfully disobey God, which is where sin and evil came about. 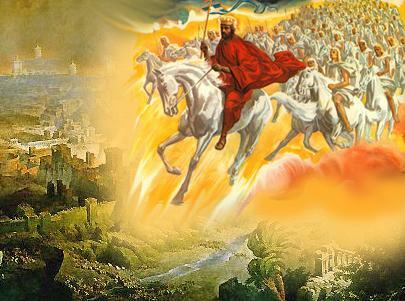 The good news is that Jesus will soon come back to defeat evil (Revelation 20:10) and to restore the heavens and the earth to its state of perfection the same way God created them originally (Genesis 1:31; Revelation 21:1). Yes, evil will soon be done away with, hallelujah! Thanks for sharing your thoughts Stefanie. We may see things differently and have different beliefs but all I can say is that Jesus loves you and He showed His unconditional love for you by dying on the cross to save you (John 3:16). 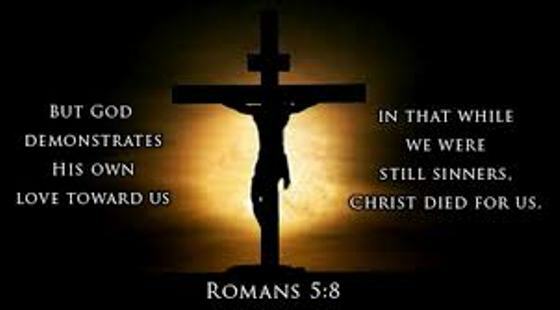 He did not save us because we’re good, in fact even when we were still sinners, Christ died for us (Romans 5:8). I like your article. It definitely causes me to stop and think about some things. Was there ever a time when you stopped to ask why is there so much evil and suffering in the world? Because without knowing where the problem really lies, we might continue to think that God doesn’t care at all about what’s going on or that God is not powerful enough to stop evil. But if we know why evil exists and how and when did it start, we will also know that it will end when Jesus comes back to restore the heavens and the earth to how they used to be when God created them. Thanks for visiting, God bless! What Does John 3:16 Teach About Salvation?